Farm Fun with Kids in the Kitchen! - The Junior League of Boston, Inc.
Each year, members of the Junior League of Boston participate in community service projects focused on our mission of promoting voluntarism and empowering women and girls. Kids in the Kitchen is one of these projects, which promotes child health and wellness by teaching young girls to make healthy lifestyle choices. Junior League of Boston volunteers are trained to follow a curriculum, which allows children to gain hands on experience selecting and preparing healthy foods and engaging in an active lifestyle. 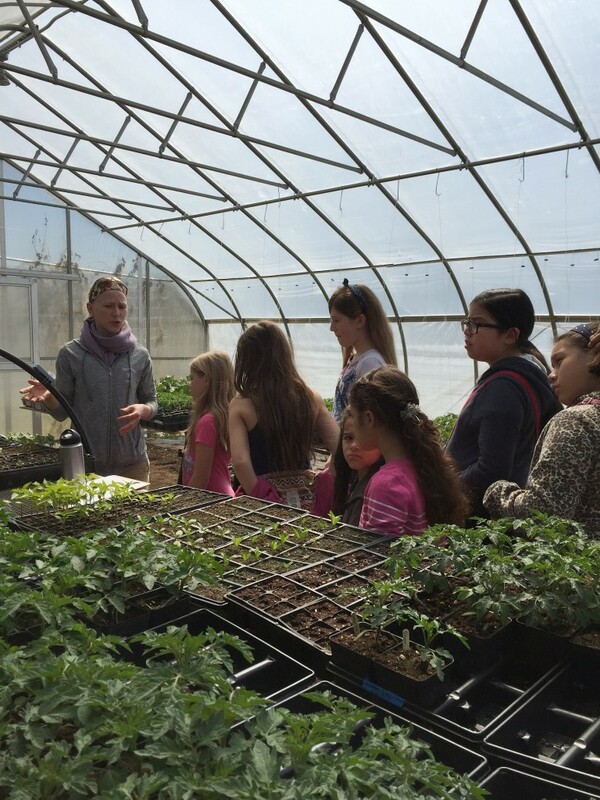 This year, our group in East Boston cooked up a storm, attended a bike safety awareness event, participated in field trips to the farm and grocery store, and took barre and yoga exercise classes. The girls had a blast! Our farm field trip was a fan-favorite among the young girls and volunteers alike. 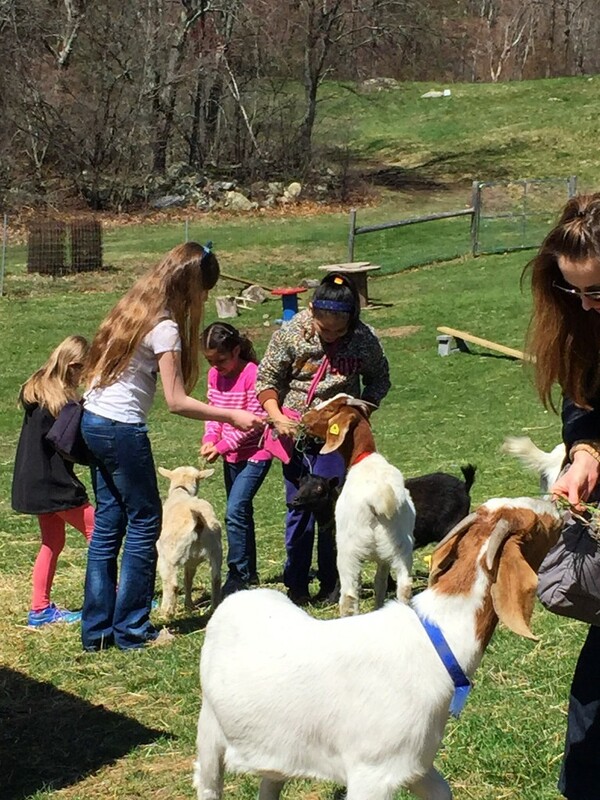 On one of the first beautiful mornings this spring, following a long and dreary winter, we were excited to pack our lunches and take a short bus ride from the city to Wright Locke Farm in Winchester, Massachusetts. Wright Locke Farm has a rich history. It’s origins date back to 1628, and it is one of the oldest continuously operating farms in our state. Currently, it is a non-profit, community-based organic farm that is owned by the Town of Winchester. Run primarily by volunteers, the farm gives back to the local community by selling its produce at nearby farmers markets and providing educational programs to adults and youth. These programs use a hands-on approach to teach lessons about agriculture, gardening, and healthy eating in a “live” classroom. We started our morning with a tour of the farm, where we learned about its history, as well as the various crops and flowers it grows. The girls were warm in the heated greenhouse but cooled off out in the field, where they observed farm volunteers tilling the land, row-by-row. Our tour guide taught us about the irrigation systems they use to provide just the right amount of water the crops need to grow. We found out that the plastic and paper surrounding the crops serve as weed control and can help warm the soil, in some cases allowing for earlier planting. Up the hill, we entered a shed with a large washing station where farm volunteers prepare their harvests for selling at local farmers markets two times per week. Next up, animals! First came the goats, which the girls loved feeding and watching play on the “obstacle course” in their pen. The group was fearless near the farm’s honeycombs, where we learned that nectar is stored in bee’s stomachs before it becomes honey! The baby sheep were new to the farm and were quite shy around their visitors, running to the opposite side of their pens when the girls approached. The chickens were more used to company, having been on the farm a lot longer. The girls helped to collect eggs from the pen and return them to the farmers. Following our animal escapade, we lay out blankets and had a picnic with the veggie and hummus wraps we had brought. 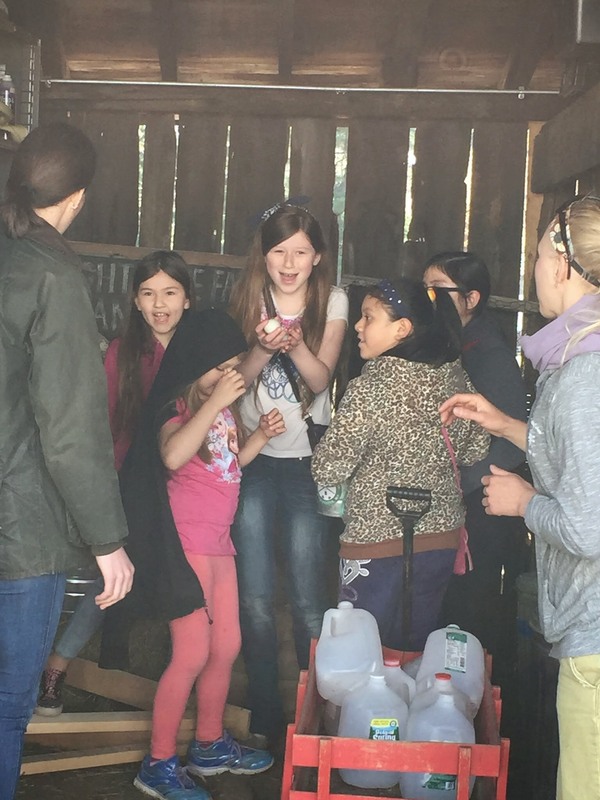 All in all, our trip to the farm allowed the girls to connect a live experience to the daily food choices they make. It was great to link up with another non-profit organization giving back to their local community in a way that helped to further the mission of the Junior League of Boston. We can’t wait to see what’s in store for Kids in the Kitchen during the next league year! Courtney is a full-time behavior analyst, who has been a member of the Junior League with three different chapters across the country. She transferred to Boston in 2014 and is grateful to be a part of a dynamic and forward-thinking organization.